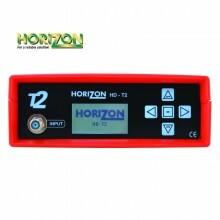 The Horizon HD-T2 has all the familiar easy to use features of Horizon meter products along with new DVB-T2 functions. The HD-T2 has been designed with ease of use in mind. A full scan will auto tune to the next available channel (Digital or Analogue). A Short scan will only step through the digital mux carriers of your chosen transmitter. Comprehensive information is displayed for all carriers, analogue or digital. For analogue signals, RF signal strength is shown for video and audio carriers, with accompanying carrier-to-noise measurements. Digital measurements include RF level, Quality, MER and BER; there is also a very handy Pass / Fail indication for rapid quality assessment. Other important parameters are available on demand – QAM rate, FEC, Guard Interval, etc. On-board selectable attenuation permits the use of the meter in multi-dwelling installations, where signals may be highly amplified. Through the intuitive menu system, it is possible to view spectrum displays across the VHF and UHF bands with 3 levels of Span. Constellation diagrams for digital channels, up to 256-QAM rotated, are also easy to call up and may be zoomed for detail viewing. The USB connection allows data-logging to a host PC, together with the capability to download transmitter updates and firmware upgrades. The HD-T2 comes complete with a rip-stop carry case, mains charger cable, in-car charger, rain cover and USB lead for data transfer. 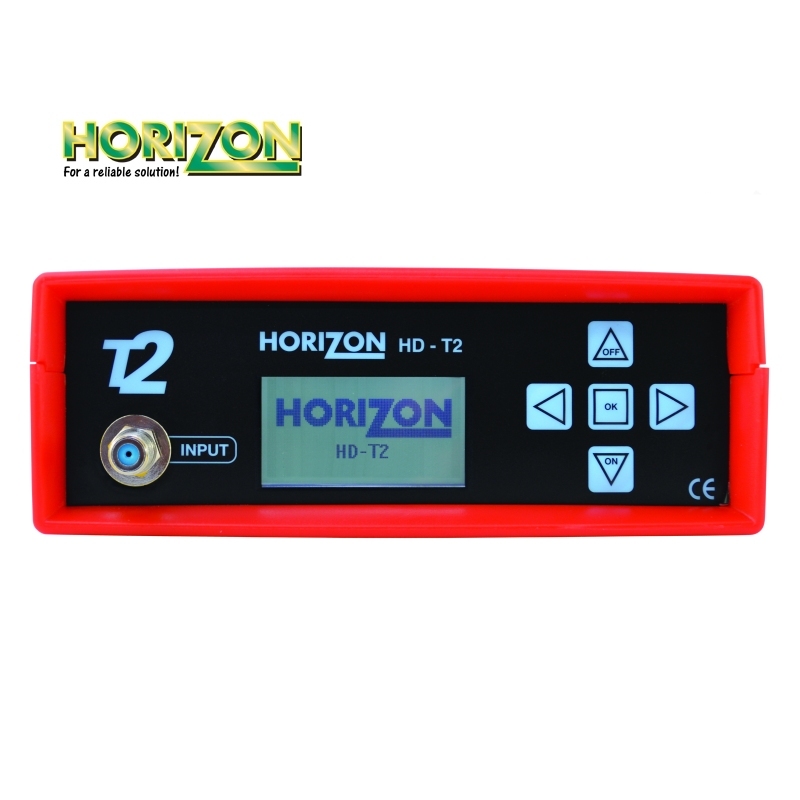 Click the button below to add the Horizon HD-T2 Digital Terrestrial Meter to your wish list.